We accept Walk-Ins for The Bar and Gallery Restaurant. However reservations are advised for The Gallery Restaurant. We accept bookings in the main bar area for groups of 10 or more. Booking deposit required. Children are welcome until 5.00pm Friday & Saturday and until 9.00pm Sunday – Thursday. We do not allow dogs on the premises unless they are a guide dog or medical assistance dog. 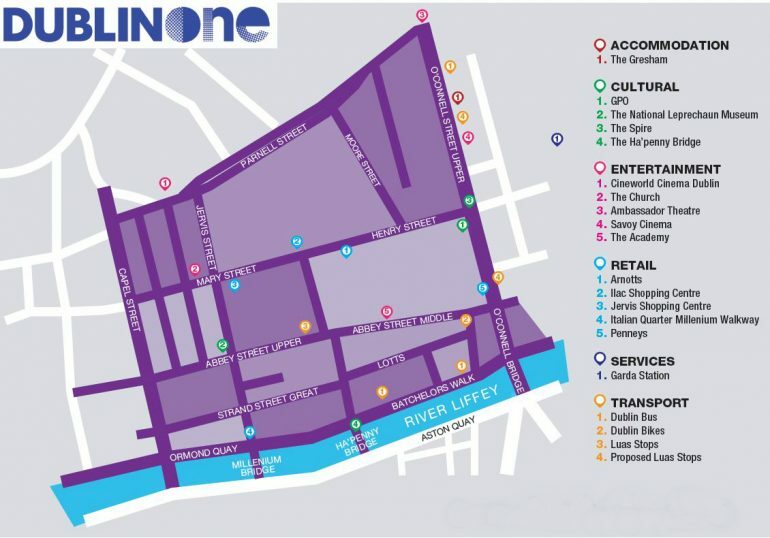 Public Transport: We a one minute walk from the Luas Red Line, Jervis stop. And only a five minute walk from O’Connell Street which serves many major bus routes. Taxi Rank: We have a taxi rank directly outside the main door. Car Parking: Jervis Street Car Park is across the road, a two-minute walk. Looking for something to do tonight? The Creative Quarter and Dame District areas have been officially stamped with a Purple Flag.